American Bankers Association reports that banks believe their overtime exempt employees do not want overtime pay, as stated by Christeena Naser, Vice President and Sr Counsel. This opinion stems from the Department of Labor’s new interpretation of the Primary Duty Test. “The term “primary duty” means the principal, main, major or most important duty that the employee performs. Determination of an employee’s primary duty must be based on all the facts in a particular case, with the major emphasis on the character of the employee’s job as a whole.” (DOL). ABA goes onto to state that the Test’s objective was to identify obvious non-exempt employees, but the new interpretation would seem to try to identify obvious exempt employees. The difference in nearly $27,000, or about 30 Million employees across all industries. Caesar’s Palace to pay $8 Million penalty on poor compliance regime. FinCEN has also forced the Palace to take on additional action for boosting compliance an a lookback program to seek noncompliance in past transactions. “When it came to watching out for illicit activity, [Caesar’s Palace] allowed a blind spot in its compliance program,” says Jennifer Shasky, director at FinCEN. “Whistle-blowers and insiders play an increasingly important role in our work,” says David Green, Director of the Serious Fraud Office in the UK. “I suggest… moving away from the identification principle of corporate criminal liability in English law and embracing something closer to vicarious liability, as in the USA,” he said in his speech at the 33rd Cambridge Economic Crime Symposium. Prepaid cards from credit card companies have grown significantly in the past decade. They offer credit transactions to those who do not have the credit history to have credit cards. They offer a way to build credit for those who cannot even open a bank account. These are people and families who make $25,000 or less. If you are reading this, you are very likely a person with a bank account and a credit card. You might not know, but there are people who do not qualify to have a bank account. I was once such a person. But I wasn’t the norm of such a person. I had graduated from college and I didn’t yet have a job. During college, I had a college student checking out. I was moving back home 2,000 miles away from my bank. So, I needed a local bank. Wells Fargo said that I had overdrafted too many times and I do not have a history of income that would otherwise let them overlooking this. I was shocked. I didn’t know that banks refused to open checking accounts. Even more astonishing, this was at a time when checking account were not free. I went down the street to Key Bank, who opened an account for me. I got a job and Key Bank had my business for many years. But most people who do not qualify for checking account aren’t in my position. They have never made enough money to have any savings at all, which means even if they had a checking account, it would sit empty. Even having an account for someone open a bank up to various risks, which all have a cost. But financial institutions have come up with a solution: Prepaid Card. This uses the credit network for transactions but at no time transactions beyond the amount in the card can be made. And banks do not have to offer any services, keeping all of the information on the card. Actually, in Eastern Africa, the same type of decentralized banking system is growing through cellphones. And if you think about it a little longer, Bitcoin and other cyber-currencies are just another decentralized payment system, albeit with more value involved. What Prepaid Cards offer is not merely a way to make transactions. It can be method to store value, as economists would put it. That is, a person can save money in such cards. The difference for the user is minimal for the most part. Sure, it is less secure because if you lose it, you’ve lost all of your money, just like cash. But it is safer than cash since it is possible to have an account on that card, even though it wouldn’t have any of the protections of a checking account. At least, there would be a remote way to stop transactions on that card, if lost, unlike cash. For the financial system, prepaid cards balances cannot be used to lend money. But banks are not starved for money right now. The Federal Reserve is offering money below the inflation rate, which means, banks are being paid to just hold money. The card balance does not flow through the system until it is used for a transaction, but it a clear benefit to the consumer who cannot afford to be connected to the financial system through depository banking. For banks, it allows them to have a credit history on those people should they eventually want to join the financial system. The banks also make money on the credit transaction. And for the system as a whole, it reduces risks involving money laundering, fraud, theft and cyber crimes. Dealers and certain retailers engaging in the purchase and sale of precious metals, precious stones, or jewels are financial institutions under FinCEN regulations. FinCEN defines a dealer as “a person engaged within the United States as a business in the purchase and sale of covered goods and who, during the prior calendar or tax year (i) purchased more than $50,000 in covered goods; and (ii) received more than $50,000 gross proceeds from the sale of covered goods.” 11 FinCEN includes in the definition of “dealer” those persons “… engaged within the United States in the business of sales primarily to the public of covered goods… who during the prior calendar or tax year… purchased more than $50,000 in covered goods from persons other than dealers or other retailers (such as members of the general public or foreign sources of supply.”12 The term “covered goods” includes precious metals as listed in 31 CFR § 1027.100(d). Based on your letter, and subject to the monetary threshold and type of supplier considerations explained above, the purchases and sales the Company entered into on its own account would make the Company a dealer in precious metals, and therefore a financial institution subject to FinCEN regulations. When acting as either a money transmitter or a dealer in precious metals, precious stones, or jewels, the Company must assess the money laundering risk involved in its non-exempt transactions, and implement an anti-money laundering program to mitigate such risk. In addition, the Company must comply with the recordkeeping, reporting, and transaction monitoring requirements under FinCEN regulations. Examples of such requirements include the filing of reports relating to currency in excess of $10,000 received in a trade or business (31 CFR § 1027.330) whenever applicable, general recordkeeping maintenance (31 CFR § 1027.410), and recordkeeping related to the sale of negotiable instruments (31 CFR § 1010.415). Furthermore, to the extent that any of the Company’s transactions constitute a “transmittal of funds” (31 CFR § 1010.100(ddd)) under FinCEN’s regulations, then the Company must also comply with the “Funds Transfer Rule” (31 CFR § 1010.410(e)) and the “Funds Travel Rule” (31 CFR § 1010.410(f)). Additionally, as a money transmitter, the Company must register with FinCEN within 180 days of starting to engage in convertible virtual currency transactions as an exchanger (31 CFR § 1022.380). Do you agree with this inclusive definition of dealers/retailers as well as precious metals, precious stones, jewels or other money substitutes? Money Laundering through real estate in London is in focus. NPR is reporting that about $200 Billion in real estate is owned by offshore corporations. Offshore corporations could be owned by a complex web of owners, ultimately owned by criminals. With foreign money feeding the real estate markets in major global cities like London and New York, law enforcement is bounding to investigate the compliance procedures taken to ensure the prevention of money laundering through real estate in these markets. Will Standard Charters’ compliance leadership changes make a difference? 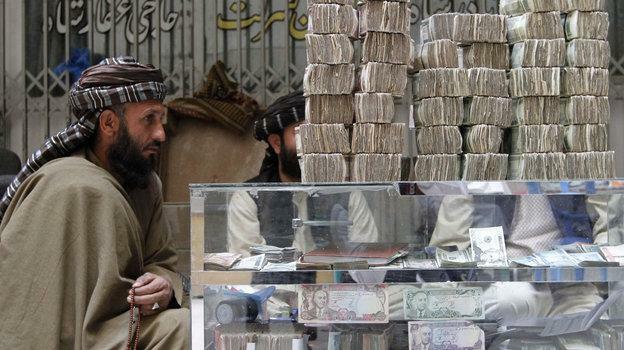 Hawaladar is a person who provides money services (hawala) to criminals. He is part of the criminal part of the shadow banking system. Shadow banking system is the banking services offered by non-banks. For example, a hedge fund could provide a loan to a company, which would be a shadow banking activity. Halawadar does something similar. A Hawaladar is a person who moves money from one place to another using his network of contacts he’s developed usually from traditional import-export activity. So, for example, if a criminal in London wanted to payoff another criminal in New York in the amount of $10,000, the criminal could go to a Hawaladar in London, give the Hawaladar $10,000. The Hawaladar would call up an associate in New York and ask him to pay the criminal in New York $10,000. The Hawaladar in London would settle up with the associate in New York at a later time. The settlement usually is underpricing or overpricing of the goods being traded. The Hawaladar and the associate have both charged money for the service, of course, which the criminal in London is usually responsible for. And, in order for all of this to work, the associate in New York must trust the Hawaladar in London to settle up. Nowadays, are Hawaladars really doing any trading? They are just a money service business. The Hawaladar has been facing more competition over the past decade. Now, the London criminal could buy a prepaid debit card with cash at any store and then send that to the criminal. It does not require any intermediaries. The cost of buying a prepaid debit card is next to nothing. I think I could go to the corner store on my block and get one for about $5 and load thousands of dollars on it. There are also other ways as well. People who do not have international trade businesses can get in on the Hawaladar game. I could pay off someone on behalf of a criminal using my PayPal account. I could use my Google Wallet. I could use my ApplePay. I could use Square, the payment service. I could use Venmo. I could use any store with a credit machine merchant account and pay them on my credit card and the store could pay off the criminal. It will just look like I paid for a product or service. I could even use Bitcoin. The increasingly greater number of easy payment/transfer options are making it possible for criminal activity to be paid without the use of a Hawaladar. What do you think was the weapon that was used to kill churchgoers in Charleston, South Carolina, confederate flag or gun? Last month, New York Department of Financial Services announced that it will start regulating digital currencies. Normally, people groan at the news of more regulation. However, digital currencies are on the fringe and seek legitimization. Being regulated is a clear sign of impact. BitCoin enthusiasts mostly cheered on the news, even though for many, mainstream regulation and economy is something they oppose. Wall Street is on the fence about this. The banks are given another product they can trade, but at the cost of possible loss of control in that market. Banks sit as members of the Federal Reserve Banks, making them part of the money supply. Digital currencies are decentralized and if there is a center of power for them, it would be Silicon Valley. About the Author: Marcus Maltempo is a compliance professional with more than a decade of experience helping banks, law firms and clients manage investigations and regulatory responses. He is the author of the forthcoming book Money Laundering: How criminals got paid and got away.